I'm programmer of the year! 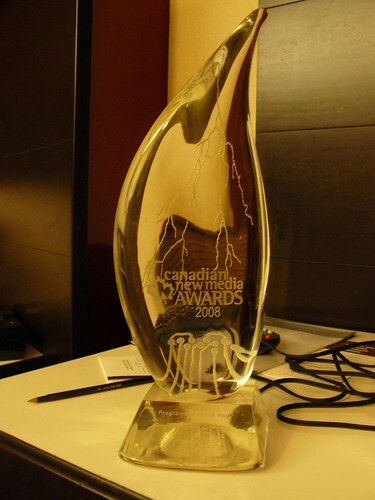 Last night the CNMA awards were held here in Toronto, and I turned out to go home with an award! Although I still feel I didn't really deserve such a prize, I feel honored and proud of the team. Thanks guys! Its been an amazing ride so far, and also thanks to the CNMA organization and judges.